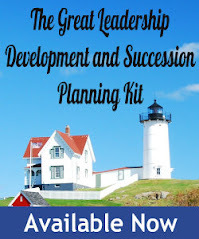 Just about every leader has had an employee who was, to say it diplomatically, a “handful” to manage. We have. One example was a person Joan worked with – let’s call her Jane Doe. Jane saw policies and procedures as mere suggestions. She irritated her team with her habit of pushing limits to get an idea through. When stressed she let it show though in her interactions with others. Yet, she always received amazing reviews from her direct reports and colleagues because they saw something important and worthy in her. Along with her leadership faults, Jane was innovative, creative, personable, dedicated, and very hard working. In Joan’s time working with her, Joan chose to focus on her abilities and how she used those abilities to champion what needed to get done. Notice the word choice here—Joan chose. She could have focused entirely on Jane’s weaknesses and frustrated all of her attempts to undertake positive work. Yet, she consciously chose not to do this. She consciously chose to “reframe” the situation and foster Jane’s leadership strengths. Reframing is about intentionally offering up a different frame to a leadership situation. The ability to reframe or reinterpret a given situation enables leaders to see that positive consequences can be built from even the direst circumstances. What leaders focus on and foster influences the outcomes both for themselves and for those who work with them. Reframing is a powerful practice that leaders committed to positive change embrace. 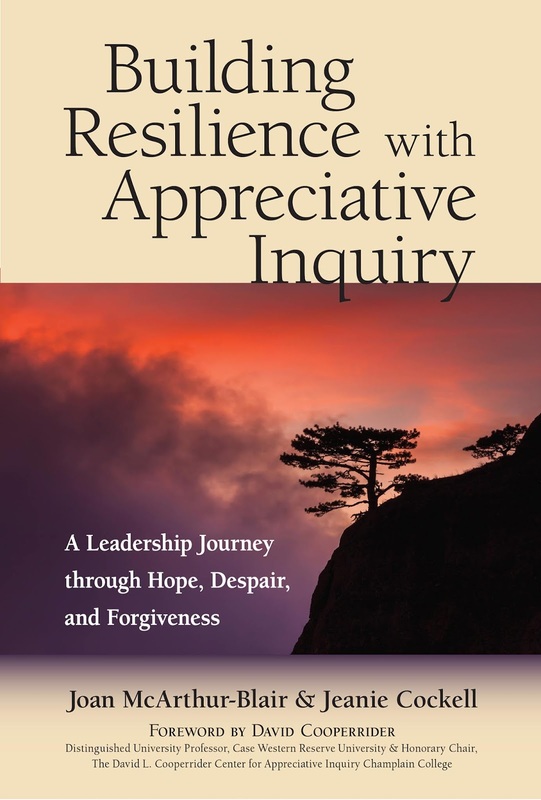 It is one of the many practices of “appreciative resilience” which we outline in our book, Building Resilience with Appreciative Inquiry: A Leadership Journey through Hope, Despair, and Forgiveness. Leaders often think of resilience as a response to weathering despair, but in appreciative resilience work, resilience is fostered from a place of maximizing the use of appreciative exploration as leaders move through three constant leadership states: hope, despair, and forgiveness. Through our decades of consulting work, we’ve identified these three constant states of leadership and have seen the power of reframing in hope, despair, and forgiveness as part of building resilience. For example, in hope, reframing can allow leaders to see possibilities in place of challenges. In despair, reframing can shed light on the strengths that can sustain a leader. And, in forgiveness, reframing can empower someone to move past resentment, anger, and fear and step towards evolving and growing as a leader. Reframing as one of the practices of appreciative resilience allows leaders to begin to see the other possible worldviews and to be open to the idea that other views, ideas and directions could have merit. This is especially important in today’s leadership world where there are many different worldviews born out of culture, diversity, events, and lived experience. When leaders see that their perspectives are not always shared truths, they change how they react. They alter the kinds of questions they ask, the types of actions they might take, and the openheartedness with which they might approach what is before them. There are many people like Joan’s former colleague inside organizations. The ability to reframe to see these individuals’ strengths, or other people’s perspectives, or possibilities hidden within challenges opens the door for leaders to enable positive outcomes. P.S. Jane flourished. 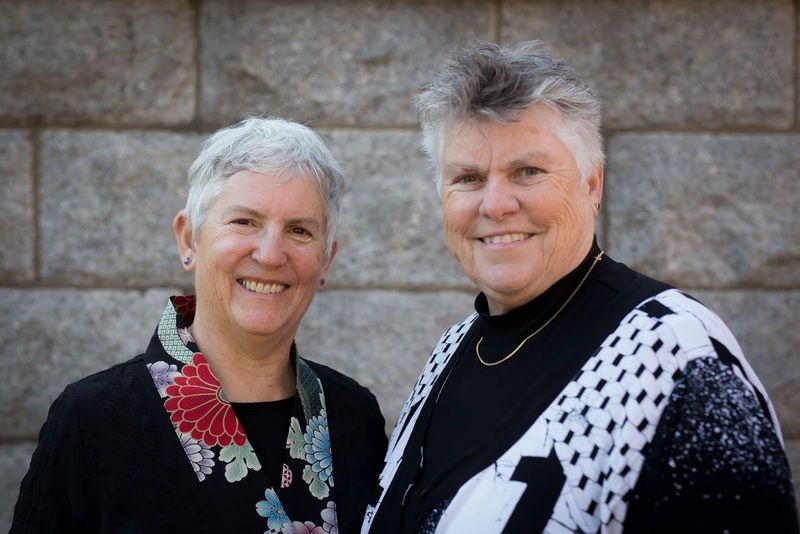 Dr. Joan McArthur-Blair and Dr. Jeanie Cockell are co-presidents of Cockell McArthur-Blair Consulting and co-authors of Building Resilience with Appreciative Inquiry, published by Berrett-Koehler. Dr. Joan McArthur-Blair is an inspirational writer, speaker, and facilitator. Joan specializes in the use of Appreciative Inquiry to foster leadership, strategic planning, and innovative strategies for organizational development. Dr. Jeanie Cockell is a dynamic facilitator known for her ability to get diverse groups to work collaboratively together. For twenty years, Jeanie has served as an educational and organizational consultant helping people, organizations, and communities build positive futures and respond effectively to change.